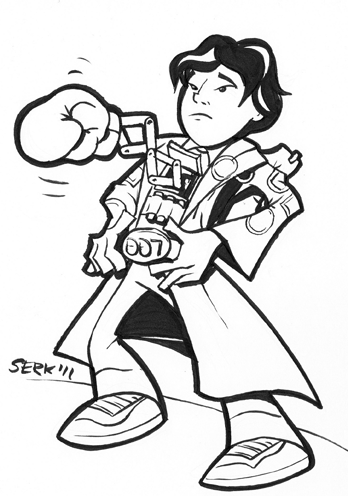 This week I will be featuring fan art of the greatest Goonie – Data, thanks to Chris Kent for the suggestion. Data really was the only Goonie in any way prepared for their adventure, having previously trained with Indiana Jones. First up, everything you need to know about data in one handy infographic from Tom Whalen. Nice font choice, clean layout and good design. Whalen has some great pop / geeky designs, I think we might see his stuff in this feature more often! 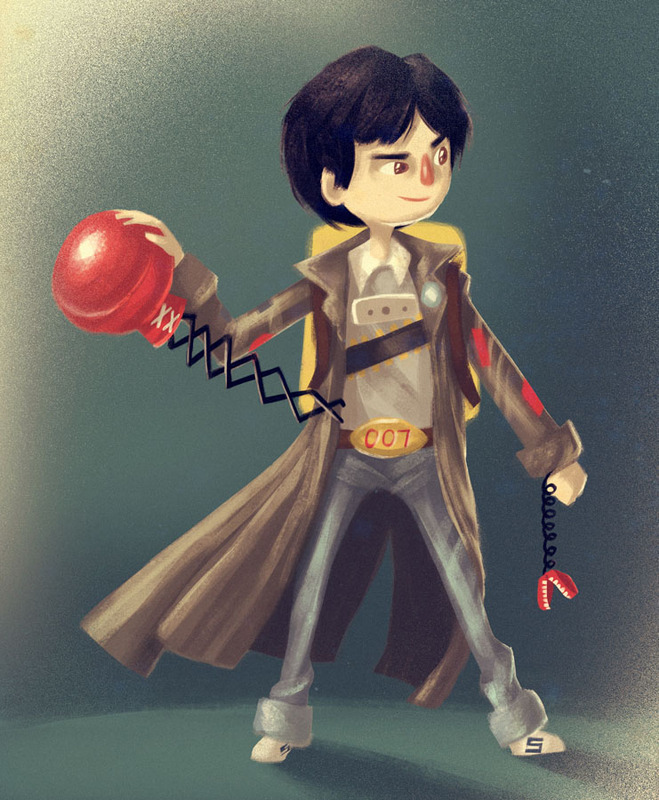 Okay, so it didn’t take me much searching to realise that there is not very much Data fan art. In fact, I suspect that Chris Kent may be a Goonies artist angling for a featured image – which is fine by me, the more fan art the better! Alright, next up, this cute image from Sergio Lantadilla. I could totally see an illustrated children’s book in this style – really love the textures and layering, some impressive digital painting technique here. For my third image I’ve chosen this from Evelyne Schulz. A bit different to her usual high realism portraits, I like the movement in this picture, in the action, pose and style. I also like to see characters depicted through their characteristics rather than the actors faces – this could never be mistaken for anyone else, yet hardly any face is visible. My next choice is this image from Scott Serkland. I love the bold black and white, perfect for vectoring, but still hand drawn and a bit sketchy. A great character study, and he has done other Goonies too! Serkland is another artist I would like to feature again – his images really appeal to me, but then I am weak to cartoony, clever, pop culture art. Despite my concern that I wouldn’t actually be able to find 5 images of just Data and not the rest of the Goonies, I have actually had to choose from a few for this final pick. Again I’ve managed to save the best ’til last! It’s a push to consider it as fan art, as the artist is a professional, having worked for Marvel and Disney, but he drew this image of Data for a fan, as a fan. Bow before the greatness that is this image by Casey Jones! Loving the details, the shading – everything about it! Hope you’ve enjoyed this snapshot into obscure character fan art, and look forward to the next installment! If you have any suggestions for a characters you would like to see featured here please comment below, or send us a message!